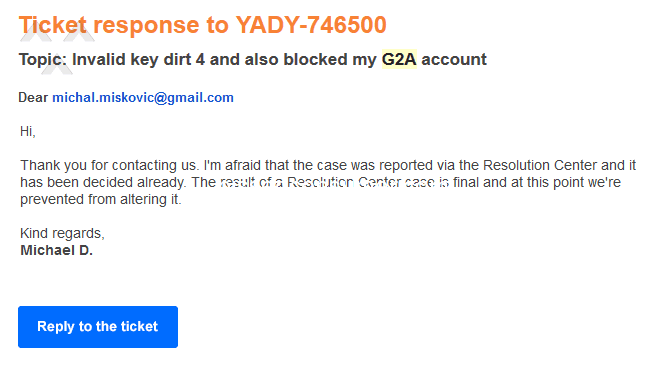 G2A - Keeps taking money from account and can't contact them to stop! I need to speak to someone urgently to find out what all the transactions are that keep being taken from my account - there is no way to do this on their website! I do not want to detail this all over again. See my original review. This OUTRAGEOUS NONSENSE is part of the problem. 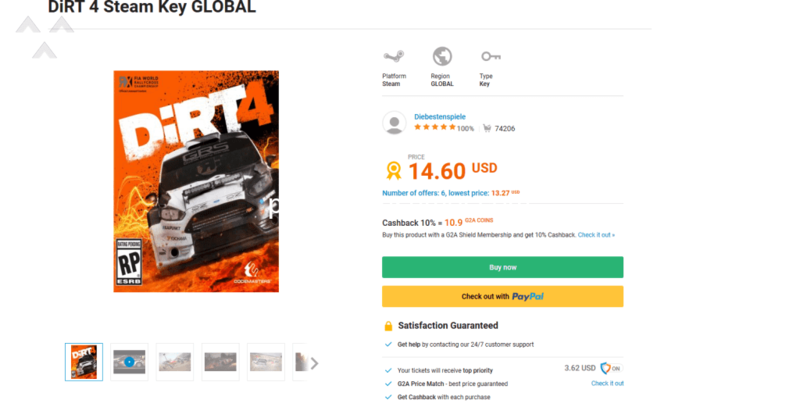 Got one price to purchase, then another price once proceeds, link to my credit card opens another link to some other credit card, and this company does not give a phone number for one to get help. HELP!!!!!!! 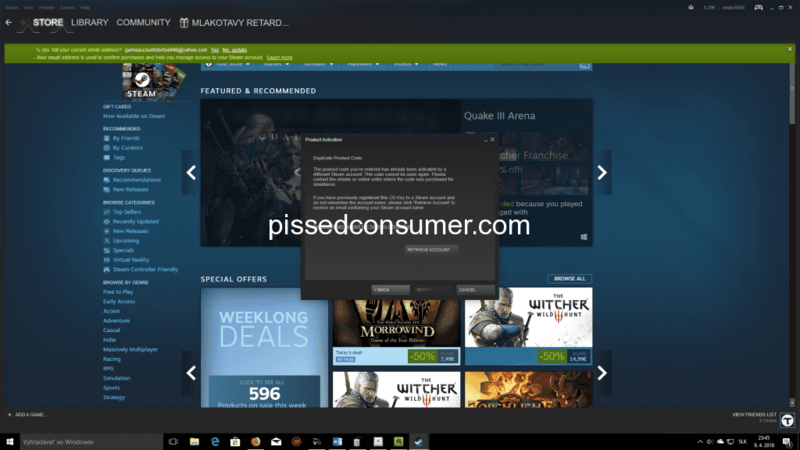 Pissed Customer terms of service page keeps jumping all over, making it IMPOSSIBLE to read, much less agree to. 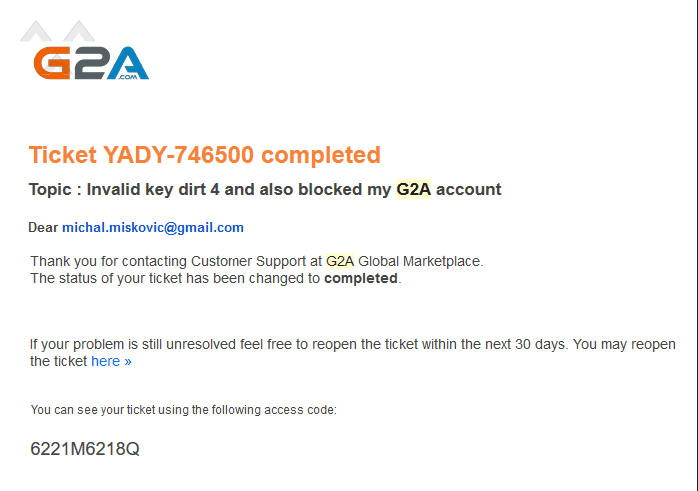 I bought a key from a client, and it was invalid. 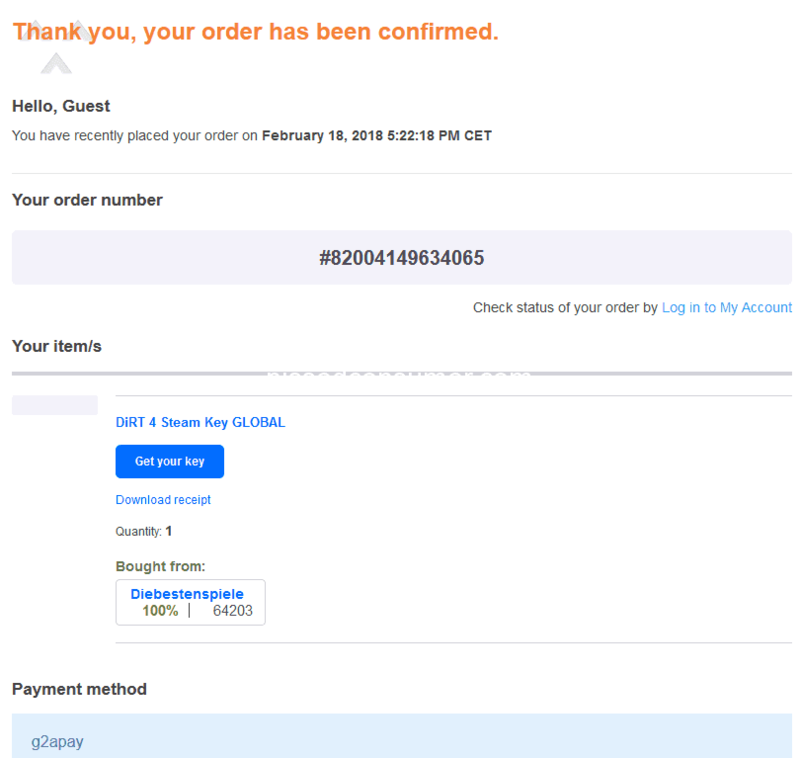 im trying to contact seller to get a new key and your order information says i never purchased this and the order number doesnt exist.....i received an email from you to confirm my order number! It says it was processed and i have the order number right in front of me! I made a $50 payment to bitskins and tried to add another $25 payment a few minutes later. The $50 payment was accepted but the $25 was declined multiple times. 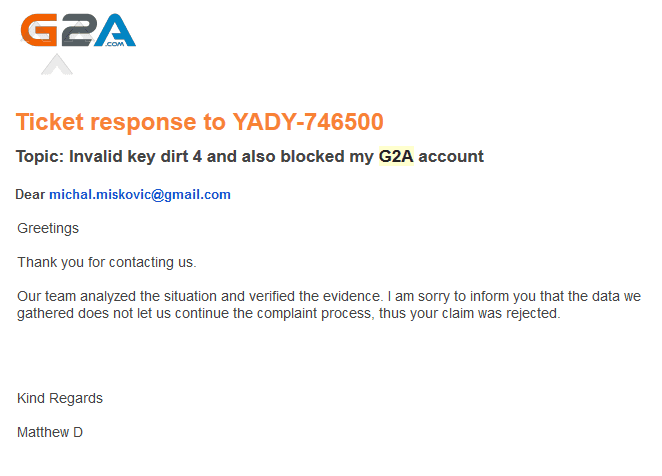 G2A - Bought a game, product key was invalid, nobody will refund me my money.